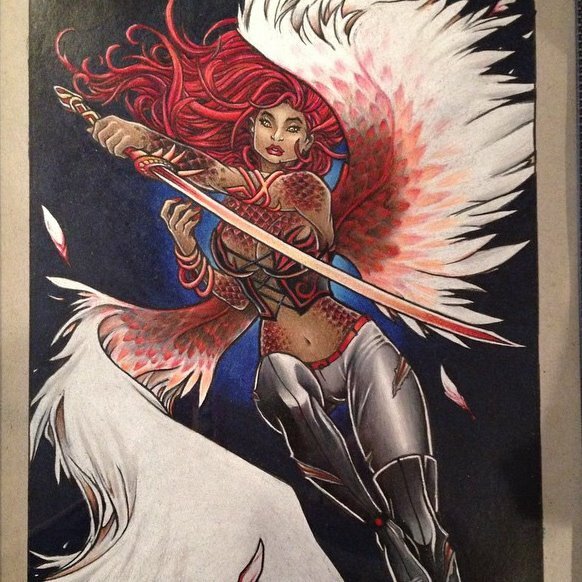 Remember this stunning image of Rayne, created by the amazing artist—Takeia Dunlop, who is now known as Takeia Marie? This image was drawn by Takeia, BUT colored by my awesome friend, Kyle “K-boogie” Chaney. Impressed? His talent doesn’t stop here. He created another version of Rayne from The Dragon Queen Series. This one literally blew my mind! And get this… he created it with color pencils. This drawing was inspired by an image drawn by Paolo Pantalena. This is Rayne in her full demonic form as the hybrid Dragon Queen. As you can see, Kyle has an unbelievable talent, one that I’m sure I’ll continue to take advantage of. LOL! Next week, I’ll post the progress photos, showing how he created this masterpiece, from beginning to finish. Available for FREE for Kindle Unlimited Members!